Having a fresh cup of coffee in the morning is a great way to start the day. 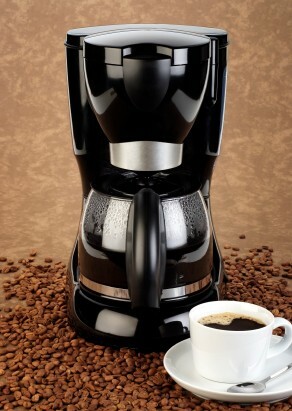 Keeping your coffee maker clean will ensure you have the best tasting brew possible. This is a guide to saving money on cleaning a drip coffee maker. A fourth a cup of white vinegar in a spray bottle filled the rest of the way with water is great for a quick clean up for coffee makers. Just spray and rinse. It is cheaper than using window cleaner and since I use my coffee maker for both making coffee and brewing tea daily. I like that it does a good job on removing their respective smells. Also, spray it in the bottom of glasses with a milk ring and let it sit for a few minutes. You won't have to scrub it. Source: God gets the credit for this inspiration. When I clean my coffee maker with vinegar, I do it in the bathroom. When the vinegar has run through, I put baking soda in the tub drain and pour the hot vinegar in. I quickly close the drain so the vinegar and soda can work its magic! Then when I run the water through the coffee maker to finish the cleaning, I pour that hot water down the drain to further clean the drain too. So simple but works so well at keeping my bathroom drains from getting clogged! I rejuvenated a garage-sale coffeemaker with denture cleaner tablets. I dropped several tablets in a cup of very hot water and used an old toothbrush and many q-tips to clean the inside of the lid, the filter holder, and as much of the reservoir as I could reach. The denture solution also worked on the exterior of the machine, including around the heating ring and beneath the filter holder. I also used denture cleaner on the carafe. I dumped the remaining solution into the reservoir, added a few more tablets and enough hot water to fill the tank, and let it sit overnight. The next day I ran the coffee maker with the denture cleaner solution in it, followed by two tanks of water. Then I did a tank of vinegar to decalcify and to flush out any sediment leftover from the denture solution, followed by two pots of clean water. Then I made a delicious pot of coffee. Denture cleaner is great on coffee-stained mugs and counters. Probably dentures, too. Use a 2:1 ratio of water to distilled vinegar. Mix two cups of water with one cup of vinegar. Pour the mixture into the water chamber. Place the carafe into the coffee maker catch the liquid. Turn on the coffee maker. Once the water chamber is empty, allow the liquid to cool before pouring it out. Fill the water chamber with clean water, and run the coffee maker again. Repeat this process, with a fresh water/vinegar mix, a few times if the coffee maker hasn't been cleaned in awhile. Wash the carafe and any plastic parts with a mild soap and water, rinse. If you have a coffee pot that has old or burned coffee residue, take about 5 or 6 pennies and 2 tablespoons vinegar. Swish it around the pot until stains are gone. The vinegar acts as the cleaner and the pennies are the abrasion to remove the stains. 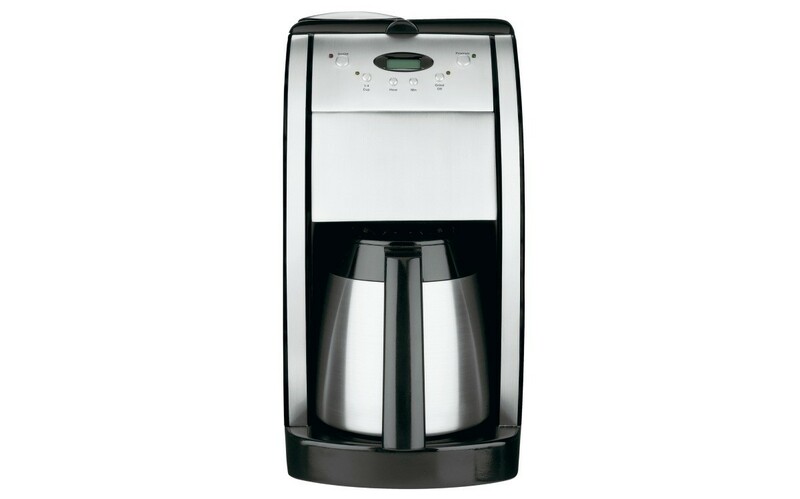 Is there any good way to clean a coffee-maker, besides vinegar? I have used this and it no longer works. I found this site that has many home-made remedies for cleaning. Baking soda is another natural, non-toxic cleaning ingredient that does wonders for cleaning a coffeepot among other things. Baking soda is a natural abrasive so it can be used to scrub off stubborn stains and residue similar to the way you'd use Comet or Ajax scrubbing powder. Sprinkle a bit of baking soda on and around the inside of your coffeepot, then moisten it with water and scrub lightly with a clean moist cloth. Add more baking soda and water as needed until the stains are gone, then rinse thoroughly with clear water. Lemon juice is a natural source of citric acid, and that is also a non-toxic cleaning and disinfecting substance that's easy to use for cleaning a coffeepot. Add a few tablespoons of pure lemon juice to a coffeepot filled with water, then pour that into the coffeemaker reservoir and run the brewing cycle without any coffee grounds in the basket. Run a second brew cycle with plain water to rinse the system fully before using it to make coffee again. If vinegar no longer works, lemon juice won't either. They are about the same acidity. Baking soda is not going to get rid of the shale buildup. Wrong chemical reaction for that. I would suggest that you try full strength vinegar in the coffee pot. If the thing isn't working, this isn't going to make it any worse. You may just have a particularly heavy build up of lime. I am assuming that you use about a 1/3 vinegar, 2/3 water mix to clean, as that is what I am supposed to use in my machine. If full strength vinegar doesn't work, and try it a couple of times through, try CLR. That is an even stronger acid. Does any one know how to keep or remove the burnt sediment off of your coffee pot burner? Try wetting a paper towel with a half & half water/vinegar solution and let it sit on the burner after it's turned off but still warm. If that's not strong enough then try scrubbing with a baking soda & water paste after. Good luck! Wash your dishes with a Dawn wash and toss scrub thing. They get tossed after each washing. Then I scrub out my coffee decanter with it. It has just enough soap leftover to clean it and the scrubby part doesn't get too abrasive. I also clean out my coffee maker with vinegar when I start to see a build up. I worked in a convenience store, what we always did, was take a wet cloth to the burner while it was hot (watch your fingers!) We never needed any kind of cleanser for it, just a bit of 'elbow grease' and it was clean. Two methods have worked for me. Vinegar and table salt mixed and scrubbed with. A little more expensive, the Dawn Power Wash in the dark blue spray bottle will remove ANYTHING!!! I use it on the coffee pot, coffee maker, tea pitcher, pots, pans, anything grungy. I wouldn't suggest this as the chemicals in oven cleaner are not safe. Eating or drinking from something treated with this could be unsafe. How do I clean a warming plate on a coffeepot? Use a soft scrub sponge to clean the plate. You can easily do this with a bit of rubbing with the sponge. Don't get it too wet. Let it dry completely before plugging it back in. Question: What is the best way to clean a coffee pot? What is the best way to clean a coffee pot? I clean the pot itself with baking soda and water. I put the other parts thru the dishwasher and we clean the coffee maker with vinegar and water. Over time, coffee can leave ugly brown stains on your coffee maker, requiring regular thorough cleaning to keep it looking new. This is a guide about cleaning a Hamilton Beach coffee maker. What is the proper way to clean a stovetop coffee maker? I believe that it is recommended to simply rinse it with hot water everytime after you use it and let it dry so that the coffee maker gets conditioned by the coffee? The reason I'm asking is that I used to do this all along, but it seems that my coffee maker is getting some black stuff build up on the bottom that looks like mold. I've been making coffee on the stove in a percolator for 53 years and the best way to clean something is soap and water. Wash it out really good and rinse. The black stuff you're seeing is old coffee oil and it will taste stale after awhile if left in the pot. There's nothing like a fresh brewed pot of good coffee and a clean pot gives you the real taste of coffee. I also like to put a little baking soda in my pot and wipe it around, then rinse good when I don't have time for a real washing. This works wonders. I used to use a Brillo pad to scour the inside of it. It would come very clean compared to what it was like. Rinse it out good. Fill reservoir with 1 pint (473mL) white vinegar and enough extra water to fill the reservoir. Turn on Coffee Maker. Let it brew 1 cup of water/vinegar solution, then turn off coffee maker. Let it stand for 1/2 hour, then turn coffee maker back on. When finished brewing, rinse pot, then fill reservoir with water and let it brew the hot water. I usually do this twice. Better than commercial coffee maker cleaners. I have been doing this for years & it works great. My husband happen to see me doing it the other day & almost had a fit. I told him I had been doing it for (15) years to HIS coffeemaker & obviously the vinegar doesn't leave a taste or smell behind, because he never mentioned it before. Vinegar is a good thing! Vinegar works well, too. If you can't stand the smell of the vinegar, just wash the pot out thoroughly afterwards, or dilute the vinegar to a solution of half water, half vinegar. But frankly, I believe that despite the cost, those grocery store coffee pot cleaners are really more effective. They are designed to be able to dissolve hard water and mineral stains in a way that no ordinary household product can. Another trick that I learned from my mother, is to wipe off the spout that the coffee comes through every time you use the coffee pot. It makes a big difference, and you can see the results when you do a heavy duty cleaning!